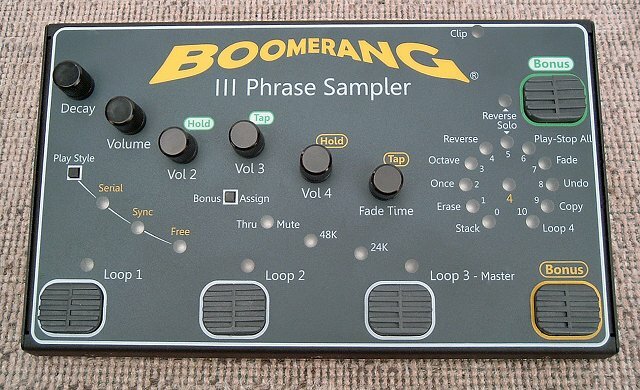 As we’ve been looking at live looper options from BOSS and VOX, Mike Nelson from Boomerang points us to his company’s live-oriented loopers, boutique-made in Texas. And they look as delicious as Texas BBQ. Not yet. The next MIDI addition will be the ability to respond to a companion pedal, called the Side Car, that will be released in about 2 months. It will allow all of the III’s many functions to be available by foot control at once. See our image of the new front panel below. 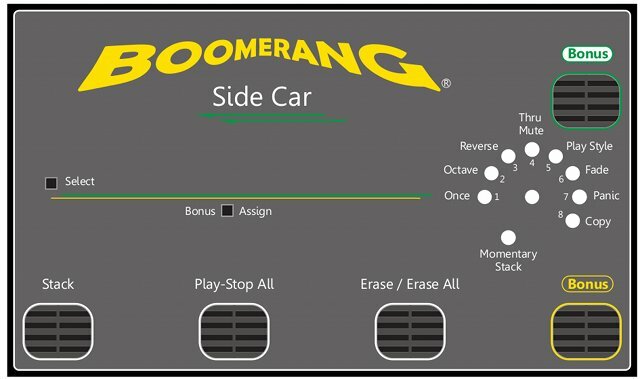 You can get the Boomerang III from your local dealer; street price in the US is well under US$500. That’s a premium versus the larger brands, but you get what looks like a unique pedal, and it’s made in Texas. Now, that’s right, you may not be from Texas, but I hear Texas wants you anyway.